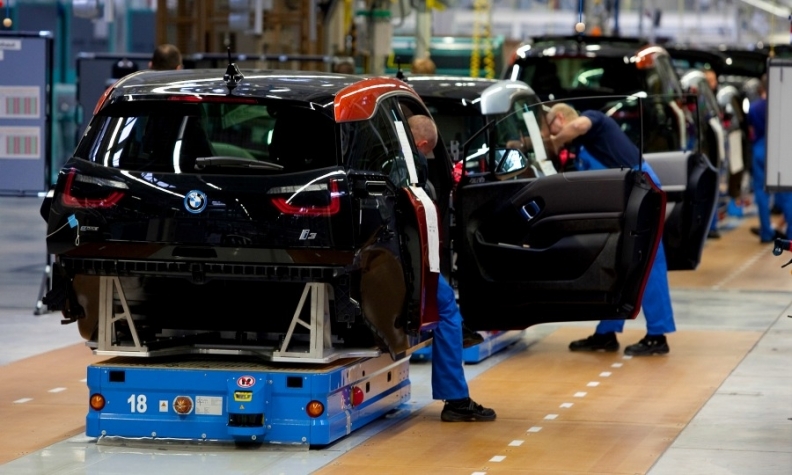 BMW builds the i3 electric car in Leipzig. BRUSSELS -- An EU court dismissed BMW Group's bid to overturn a European Commission decision limiting the amount of state aid it could receive. The Commission stipulated in 2014 that the carmaker should receive no more than 17 million euros ($20 million) to expand production of its i3 electric hatchback and i8 plug-in hybrid sports car in Leipzig, a project expected to create 800 jobs. Germany had originally planned to grant 45 million euros toward the project, but the Commission ruled any amount exceeding 17 million euros was incompatible with internal market rules. BMW challenged the decision, claiming that the Commission had made errors in calculating the cost of the project. The General Court of the European Union, the EU's second-highest court, rejected BMW's complaint. BMW said it was surprised by the ruling, saying it was effectively being punished for its plan to bring an innovative investment to a disadvantaged region. If it had planned to produce a normal combustion-engine car, then according to the Commission's logic it would have been entitled to the aid in full, it said. "We will carefully review the ruling and decide in the next few weeks whether to appeal to the European Court of Justice," the company said in a statement. BMW builds 1-series and 2-series models, including the Active Tourer, alongside the i3 and i8 models in Leipzig, according to Automotive News Europe's European car assembly plant map.